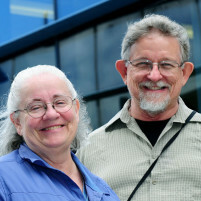 Over the past several years, Mary has found retirement elusive as she lectures and teaches classes with her husband Tom. Based on their on-going learning, they wrote a second book,Implementing Lean Software Development: From Concept to Cash in 2006, a third, Leading Lean Software Development: Results are Not the Point in 2009, and a fourth book, The Lean Mindset: Ask the Right Questions in 2013. A popular writer and speaker, Mary continues to bring fresh perspectives to the world of software development. 2020 used to be far in the future. Today it’s four years away. We no longer need to guess what breakthroughs await us in that magic year, the future is hiding in plain sight. The Cloud, Big Data, the Internet of Things, Virtual Reality. The question is not what the technologies of 2020 will be – that is rapidly coming into focus. The real question is: What’s important, what isn’t, and why? Should you focus on Continuous Delivery? DevOps? How do you get from where you are now to where you need to be? How do you scale? How do you keep your systems reliable and secure? This talk will discuss how software engineering is changed by the emerging digital technologies. You have great software engineers. They work on autonomous product teams that deliver frequently. The products are doing well. But -- there is always a But. Things could be better. Something is frustrating team members or disappointing customers or slowing things down. What is it? Friction. No matter how well things are going, there will always be friction. Consumers experience friction when using your product. Friction delays a team's response to a product request. Friction makes the code difficult to change. Differing expectations create friction among team members. Competing goals create friction between teams. This talk looks at the most common sources of friction in software systems, and present patterns for reducing friction that can be used again -- and again -- to identify and address points of friction on an on-going basis.